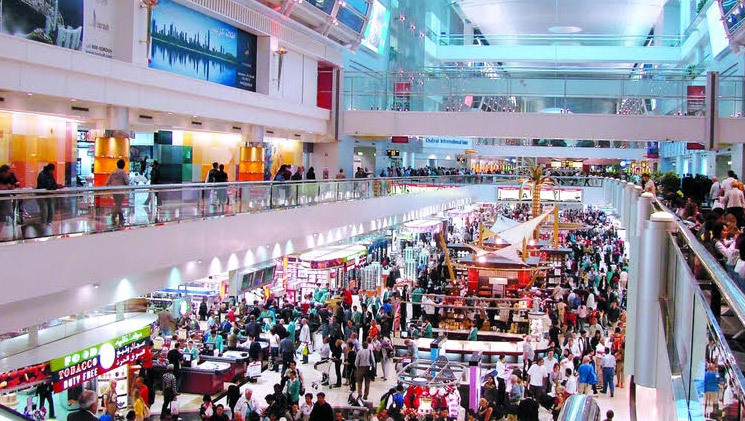 The Dubai Mall is considered to be a shopping paradise due to the wide array of retail outlets featured in the mall. With over a thousand retail outlets that host popular and luxury brands from across the world, the Dubai Mall is no doubt a shopping haven. Dubai Mall is close to all Downtown Dubai projects. The mega shopping destination is developed by Emaar Properties, which is one of the biggest developers in the UAE. Emaar Properties has a wide portfolio of off plan properties in Dubai, including the upcoming Emaar Beachfront community. The mall features over 1200 retail stores, two department stores, and several food and beverage outlets. With over 1 million square meters of space, the Dubai Mall is equivalent to 200 football pitches. In fact, it is one of the biggest shopping malls in the world. For those who love high-end fashion brands, the mall has over seventy signature fashion retail outlets that feature retailers from across the globe. It also hosts the first Bloomingdale’s and Galeries Lafayette stores in Dubai. On the other hand, haute couture lovers should visit the Fashion Avenue. This is where you will experience the latest collection of world-renowned designers and brands such as Burberry, Versace, M&S, H&M, etc. On top of that, you will find the most exquisite gold jewellery in the Gold Souk area. Apart from the shopping experience, Dubai Mall is also an ultimate entertainment destination. It features an Aquarium and an Underwater Zoo, Olympic sized Ice Rink, and VAR centre among others to keep everyone busy and happy. Dubai Mall is also home to a popular shopping leisure precinct known as The Village. It offers a relaxed and informal shopping experience mainly focusing on trendy and active fashion lifestyle. The centrepiece of the Dubai Mall is the aquarium and underwater zoo. It is considered to be the biggest indoor aquarium in the world. With a capacity of over ten million litres of water, the aquarium offers a diverse collection of marine animals. There is a special lunar-cyclic lighting system that changes the lighting ambiance of the tank. There is also a walkthrough tunnel that offers an impressive close encounter with some of the exotic water animals in the world.